Actor Navdeep is all into the news for a wrong reason today. 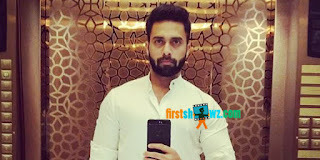 Few of the media channels has posted news on Navdeep as the actor has arranged a Rave Party in his Village Farm House. It is also mentioned as, Navdeep along with few young artists from film industry has abscounded from the place immediately. The actor within no time has responded via his social networking page about the rumor. Well, Navdeep has given enough punches to the concerned channels by also showing the exact proof of the his family and relatives who are part of the house warming function.